The UAE will be back in the second tier of Asian rugby next season after a crushing 70-18 defeat of Thailand saw them promoted to Division I of the Asia Rugby Championship. Apollo Perelini’s men made light work of a team that have proven to be a formidable foe in recent seasons, pulling away in the second half to seal promotion in style. It was a second massive victory in four days for the UAE who had crushed tournament hosts Uzbekistan 65-13 on Wednesday. Jebel Ali Dragons’ three-quarter Ryno Fourie got the UAE’s first score early on but it was tight contest for the opening 40 minutes, Thailand responding immediately to lead 8-7. Two tries for another Dragon, Imad Reyal, saw Perelini’s men go in 21-8 at the break and a third Dragon, winger Ian Overton, touched down after the restart in addition to a second Fourie score to put the UAE in command at 35-15. Dubai Exiles’ Charlie Sargent and Abu Dhabi Saracens’ Matt Hutchings were among the other second-half scorers as the UAE cruised to victory and promotion. Bright future: Jumeirah English Speaking School pupils with Statham (r). 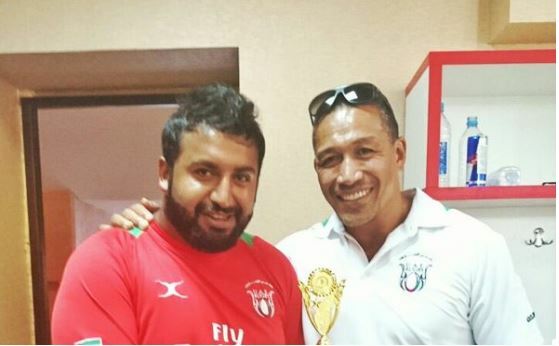 The Scotsman is currently in Uzbekistan with Apollo Perelini’s UAE squad as they prepare to face the hosts in Division II of the Asia Rugby Championship (ARC) on Wednesday. Get through that and they will face the victor of the other semi-final, either Guam or Thailand, for a place in Division I in 2017. Although his concentration is set firmly on that at the moment, Statham will also be jetting off again at the end of the month as he takes rugby and netball pupils at Jumeirah English Speaking School to China. “I’ll travel with the UAE team and return on May 23,” said Stat-ham, who is head of physical education at JESS. A total of 22 children will head with Statham and Co to Beijing, playing in an Under-11 internatio-nal rugby and netball tournament on May 27 and May 28. Preparations for the Far East tour have been almost as grueling as Staham’s sessions with the UAE by the sound of things, with Statham and headteacher Asa Firth training the rugby team at 06:30 on Thursdays before school starts to help them prepare. “It’s great for me to be able to help them, especially as I’ve travelled to China with UAE in September to play in a sevens tournament,” added Statham. 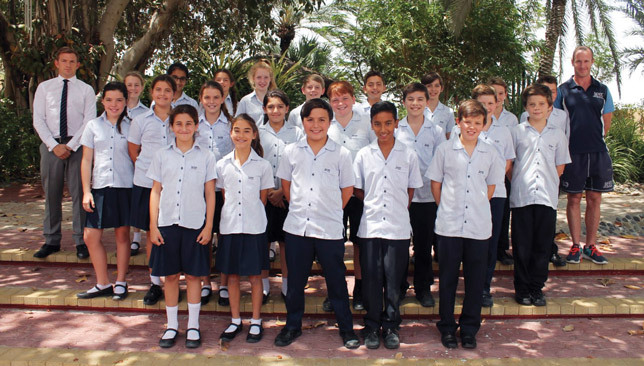 “The school has been really supportive of my training and commitments to the UAE. Evergreen: Paul Hart continues to perform a key role for club and country despite his advancing years. At 38, Hart, along with 37-year-old Abu Dhabi Harlequins veteran Ed Lewsey, are the two elder statesmen of the 25-man touring party which jetted out to Uzbekistan on Sunday. However, the Jebel Ali Dragons forward is feeling fresh and fit as the UAE look to gain promotion to the ARC’s Division I, and has brushed off any suggestions this could be his swansong. “I want to play at as high a level as possible for as long as possible,” said Hart. “Lots of my peers and people younger than me hang up the boots and say ‘that’s enough’ and they’ve ended up coming out of retirement years later as they miss it. The fact that Hart is heading off on an international tour with his adopted nation is as much a feat of mental endurance as it is physical. As well as being a busy family man with two young sons and working in recruitment, Hart is also Dragons’ director of rugby. “I’ve got a very understanding wife, basically, as well as two gorgeous young boys, aged two and three,” said Hart, who briefly played professionally back home in the UK for Worcester Warriors as well as earning England Students caps in both rugby union and league. “I’m very busy but I’m a firm believer that you’re a long time retired in sport. Although I’m now in my 25th straight competitive rugby season, I’m not planning to go out on a high with this tour. Ahead of Wednesday’s Division II semi-final encounter with Uzbekistan, Hart feels former dual code international Perelini has selected a good balance of youth and experience. “Myself and Ed Lewsey are the two old boys. I think we’ve got to offer the younger lads,” added Hart. “But so have they. They’re fantastic players so there’s plenty we can learn as well. I think everyone’s learning a great deal off Apollo too. 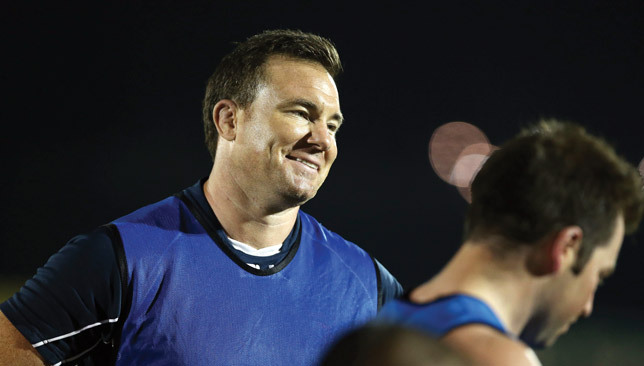 Hart was involved in last year’s ARC tour in Malaysia, where the UAE agonisingly missed out on promotion back to the second tier of Asian rugby. They beat Thailand convincingly, as well as Chinese Taipei, but lost by just a point to the hosts, whose 20-19 win saw them promoted to Division I.
Hart insists nothing less than first place will do this time around. “Last year was a step towards a more professional UAE national team and this year I can see it’s a step up again,” said Hart. “The average has come down dramatically and the standard has increased dramatically. “Last year was the beginning of something quite special. We felt that and we were devastated to lose by a point to Malaysia, it was heartbreaking. “There’s very much a business-like feel to this tour. Everyone’s delighted to be selected, but we’ve all decided as a squad the hard work starts now and we’re committed to winning this division and being promoted.